In our quest to build more positive workplaces and families, science helps. In terms of human training, managing and supervising, psychologist and mathematician Marcial Losada has done research on the number of positive to negative interactions in business setting relationships and has established some interesting guidelines. Dr. Barbara Fredrickson from the University of North Carolina conducted further studies and validated Losada’s work in interpersonal relationships outside the work environment. The Positivity or Losada Ratio is the ratio of positive interactions or feedback to negative interactions or feedback. An interaction or feedback can be a simple as a look. We have all gotten “the look” from our spouse and no explanation was necessary, we knew it was a correction, a negative interaction if you will. An interaction or feedback can be a look, a comment, a conversation, and even an event all can be labeled either positive or negative. Criticizing, condemning and complaining all create negative interactions We can even create negative interactions with our own mind by our thoughts and feelings. There is a magic point at where teams and individuals begin to noticeably outperform their less positive counterparts. That is when positive interactions or feedback outweigh negative interactions or feedback by a ratio of at least 3 to 1 (3:1). That means that for every negative interaction or feedback there have been 3 or more positive interactions or feedback to keep the balance positive. If the positive interrelations or feedback slip below 2 to 1 (2:1) trouble in the relationship often follows and if the ratio dips to the 1 to 1 (1:1) ratio or worse, there is a 96% chance that it will fail. The other side of that coin is; as positive interactions and feedback approach 5 or 6 to 1 (5:1 or 6:1) to as much as 8 to 1 (8:1) the performance of the relationships soar. This is where positivity in the workplace becomes a distinct competitive advantage. Why is this a big deal? you might ask. In an economy that is growing, and unemployment is dropping to record lows, it becomes imperative that companies create positive working environments that attract and retain the highest caliber of employees possible. That doesn’t happen by accident. Part of the solution to “how to attract and retain “A” players” at all levels of the organization is having a culture that rewards them for being an ”A” player. Does it make bottom line sense to focus on building a positive workplace culture? According to Shawn Achor, author of “The Happiness Advantage”, the answer is a resounding YES and the statistics prove it. Optimistic sales people outsell their pessimistic counterparts by 56%. Happy workers are up to 31% more productive and up to 19% more accurate on tasks. In happy workplace environments turnover, absenteeism and health care costs are dramatically reduced. Employee engagement and customer engagement increase. Happy employees are 85% more efficient with their time, stay on the job twice as long and are a distinct competitive advantage. Another scientific principle we are going to use to our advantage in making a shift in the culture toward more positivity is the Tetris Effect. Named after the video game of Tetris it emphasizes how much we are conditioned to recognize patterns and how easily our brains can be programmed. 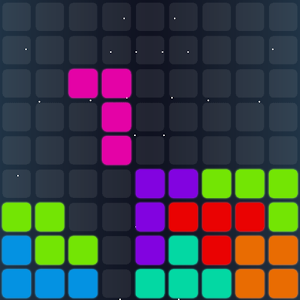 Tetris is a game where different shaped puzzle pieces fall from the top of the screen and the player tries to move and rotate the piece, so it fits into a corresponding opening or hole in a line of shapes on the base of the game board. A psychological study was done at a university in which students were paid to play Tetris for hours daily. After a few weeks the students had effectively re-patterned their minds to look for geometric patterns that can be moved and rotated to fit into a space. They would do this with landscape scenes, empty product spaces on store shelves and anywhere they could find a geometric pattern to rotate and move. Their brains had effectively been reprogramed to look for the geometric opportunities to play the game, even in real life. Whenever we ask someone “What good things have happened to you since we last saw each other?” or “What is the best thing that happened to you in the last day?” or “What are you looking forward to for today? (this week, this weekend).” We are requiring the person we asked to look for positive things that have happened to them. The first time you do this to a team mate or family member, yes, your family has a culture too, you will get the classic ‘deer in the headlights’ look and a feeble answer like “I woke up this morning” or “I made I to work”. If you were to ask a similar question of that person the next day and the next day they will get the idea that you will probably ask that annoying question every day and they need to start paying attention to the good things that are happening to them. We have effectively shifted the patterns they look for in their life, even if it is only to be able to answer your annoying question. Instead of looking for what’s wrong, what’s not right, what’s not working and what’s missing, they will begin to look for the good and we will have affected a culture shift in that person and relationship. If, as a leader we can do that with all the people we encounter regularly it will change the way they look at the world and process it. They will become more positive and happier. It works every time. Building Positive Workplaces, Part 3 here.